This item is a vintage and classic candlestick with iron material and sturdy construction for durable and long-term use. 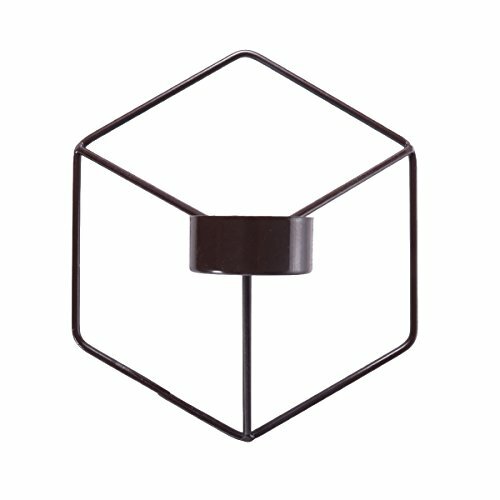 The fashionable, simple and generous tea light holder will add charm and beauty to your living space, marriage, party, etc. Greatfor both indoor or outdoor use, such as hallway, office, cafe and so on. - Size: Approx. 21 x 18.5 x 10cm. Iron material with sturdy construction and rust resistant finish. Easy and convenient to hang on the wall. It will add charm and beauty to your living space, party, etc. European design, as a beautiful addition for adding some magical glow of candlelight to your indoor or outdoor places. Perfect for everyday use, wedding, events, aromatherapy, spa, etc. Suitable to be used in hallway, foyer, home, office, etc as a decorative accent. Deco 79 42154 Aluminum Candelabra, 11" x 16"